Magnequench's story is indeed a story of executive branch disregard for the health of the nations' defense industrial base, but the Administration of Bill Clinton bears culpability for letting it happen in the first place. Magnequench had a unique expertise in the manufacture of high-powered neodymium magnets, which it pioneered in the 1980s for its parent company, General Motors, to use in airbags and mechanical sensors. When GM restructured in the early 1990s, the company began to divest itself of subsidiaries that were not in its "core competence." Magnequench, in spite of its high-tech pedigree—and the fact that it provided critical component parts to "precision guided munitions" that were then in great demand by the U.S. Department of Defense—was put up for sale. The chairman of San Huan, a Mr. Zhang Hong, son-in-law of former Chinese "paramount leader" Deng Xiaoping (and now director of the Research and Development Bureau of the Chinese Academy of Sciences), took over as chairman of Magnequench. No doubt, Mr. Zhang's desire to acquire Magnequench was informed by the Chinese government's—and his father-in-law's—"Super 863 Program" to develop and acquire cutting-edge technologies for military applications, including "exotic materials." The other Chinese investor in Magnequench, CNNMIEC, was at the time run by yet another Deng Xiao-ping son-in-law. In April 1999, Magnequench announced that it would open a 30,000-square-foot laboratory facility on a 10-acre site mostly in the Research Triangle Park in Raleigh–Durham, North Carolina. But by September 2003, Magnequench had abandoned North Carolina and relocated its entire research operation to Asia, and the U.S. company's revenues dropped to $158 million. One could speculate that Magnequench's Chinese owners in the CNNMC (Onfem's parent in Beijing) were more than making up for their U.S. losses in the vast expansion of supermagnet sales from Chinese companies. By the first months of the Bush Administration, Magnequench's crown-jewel technologies had already seeped off unnoticed to China, and the entire production line was already being dismantled in the United States. U.S. Senator James Inhofe (R–OK) complained in October 2005 that "over 12 years, the company has…moved piecemeal to China, leaving the U.S. with no domestic supplier of neodymium, a critical component of rare earth magnet." The blame, he said, rested with CFIUS because "CFIUS approved this transfer" in 1995 and failed to enforce the terms of its approval. Of course, the real reason Magnequench could not source neodymium in the United States was that the EPA had closed the world's second-largest source of the mineral—the Mountain Pass mine—charging that the mine effluent was not "beneficiated" (i.e., "earthen in character") as the mine operator claimed, but rather "processed." 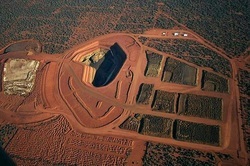 It does not appear from the court record that the mine's effluent endangered either human health or animal habitat. NEO and its Magnequench affiliate report that 85 percent of their manufacturing facilities are in China (the other 15 percent is in Thailand); that 95 percent of their personnel are located in China; and that all of their China manufacturing facilities are in the form of "joint ventures" with Chinese state-owned enterprises. 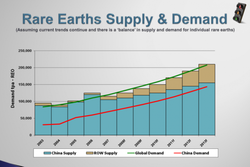 It now appears that the United States has no rare-earth oxide magnet production capacity. This is unsettling when one considers that virtually no piece of advanced information technology can be fabricated without rare-earth oxides—which, of course, means that no weapons system can be assembled without them. In short, America's defense industry already relies on China for some of its most indispensable components—and the problem did not begin with President George W. Bush. It goes back to the early part of the Clinton Administration. In the Magnequench case, Chinese investors found a number of different vulnerabilities in the U.S. defense industry base: a poor appreciation of the importance of small and medium niche suppliers and the Achilles' Heel of environmental litigation, which has handed to the Chinese—up to now—a virtual monopoly on supplies of an essential resource to modern computing electronics. Public Law 110–49, July 26, 2007. FINSA consists of several amendments to the 1988 "Exon–Florio" legislation, which itself amended the Defense Production Act of 1950 (50 U.S.C. App. 2170). See also U.S. Department of the Treasury, Office of International Investment, "31 CFR Part 800 Regulations Pertaining to Mergers, Acquisitions and Takeovers," Federal Register, Vol. 72, No. 196 (October 11, 2007), p. 57900.
previousTitle=TCW%2FCrescent%20Mezzanine%20Partners%2C%20L.L.C. Hong Zhang, Harry, had served as Deputy Director of the Technology Sciences of the Chinese Academy of Sciences, a central government agency, and chairman of San Huan since 1985. Mr. Zhang has more than 25 years of professional engineering and management experience. He was Chairman of Magnequench International, Inc. (Magnequench Inc. or Magnequench) since 1995. Some filings show Harry Zhang as "Chairman of the Board and Director" of Neo Material Technologies Inc. "since 1995." However, in a phone call to NEO, Mr. Zhang Hong was said to have "retired in late 2006" as CEO of "Magnequench Tianjin." 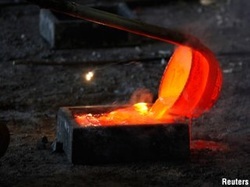 The two firms sold 62 percent of Magnequench to a Chinese state-owned holding company in Hong Kong, "Onfem," in 1997. "Onfem" is a wholly owned subsidiary of China National Nonferrous Metals Corporation, and CNNMC no doubt instructed CNNMIEC to make the transaction. It does not appear that either San Huan or CNNMIEC retained any "Magnequench" shares. See Lana Wong, "Onfem in US magnetic deal," South China Morning Post, January 7, 1997. There are also reports that the Chinese government pressured GM into selling Magnequench to Chinese interests as a condition for approving GM's bid to open an automotive production line in Shanghai. 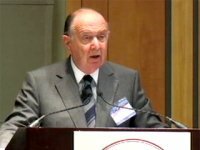 See the testimony of Richard D'Amato, U.S.–China Security and Economic Review Commission, in hearing, China National Offshore Oil–Unocal Merger, Committee on Armed Services, U.S. House of Representatives, July 13, 2005. It seems unlikely that CFIUS would have negotiated "jobs" as a mitigation condition unless it could be shown they were directly relevant to national security. CFIUS's mitigation terms are not published. However, several parties interested in the transaction, particularly the labor unions representing Magnequench's employees, seem to have been notified of them. An officer of NEO Materials told the author that NEO does, in fact, "maintain pensions" for former GM employees. One report alleges that, "despite original promises approved by CFIUS as part of the transaction that the production equipment and jobs were not to be moved out of the U.S., those transfers did, in fact, happen." See press release, "USW's Gerard Calls for Moratorium on CFIUS Approvals, Comprehensive Review of Process; Letter to President Bush Cites Ports Controversy, Transfer of Magnequench ‘Smart-Bomb' Technology to China," United Steel Workers, February 28, 2006, at http://www.usw.org/usw/program/content/2790.php. See also Scott L. Wheeler, "Missile Technology Sent to China," Insight on the News, March 3, 2003, p. 26. A version of this report is available at http://findarticles.com/p/articles/mi_m1571/is_5_19/ai_97874289. Stuart A. Hirsch, "Magnequench announces plans to close plant; Officials don't say when local factory will close; ‘slack demand' cited in elimination of 260 jobs," The Indianapolis Star, September 29, 2001, p. N1. 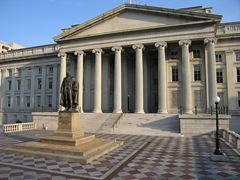 See transcript of hearing, Implementation of the Exon–Florio Amendment and the Committee on Foreign Investment in the United States, Committee on Banking, Housing and Urban Affairs, U.S. Senate, October 20, 2005, provided by Federal News Service.